Kofuns are megalithic burial mounds or tumuli in Japan, constructed between the early 3rd century and early 7th century. 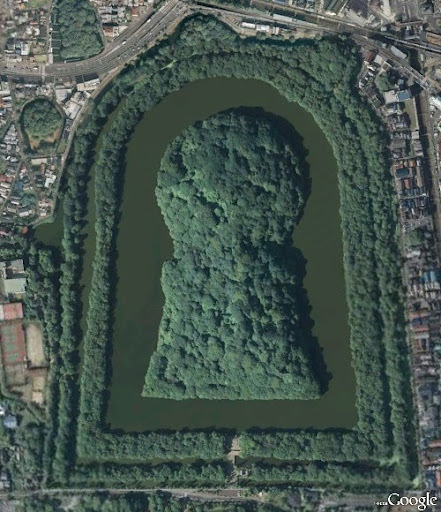 Most of the kofun mounds are keyhole-shaped - a design which is unique to ancient Japan. 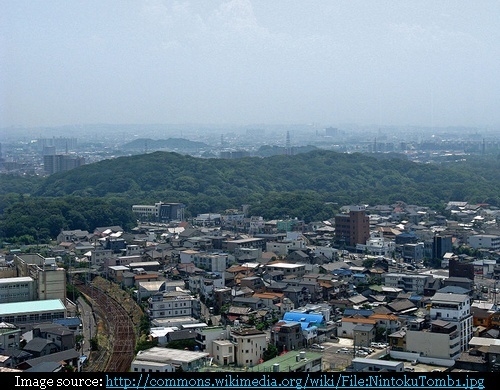 Amongst these is the World's largest kofun known as 'Daisen Kofun' - the burial mound of the Emperor Nintoku, the 16th emperor of Japan. The mound is three-tiered and surrounded by three moats. It is approximately 486 meters long and has 305 meters wide frontage with about 33 meters height. The rear circular section is about 249 meters in diameter and 35 meters high. In comparison the base of Great Pyramid of Giza is about 230 x 230 metres. The only ancient structure which surpasses the area of Daisen Kofun is the Great Pyramid of Cholula, Mexico, which has a base of 450 x450 metres. However the Mexican Pyramid was a place of worship and not a single grave. 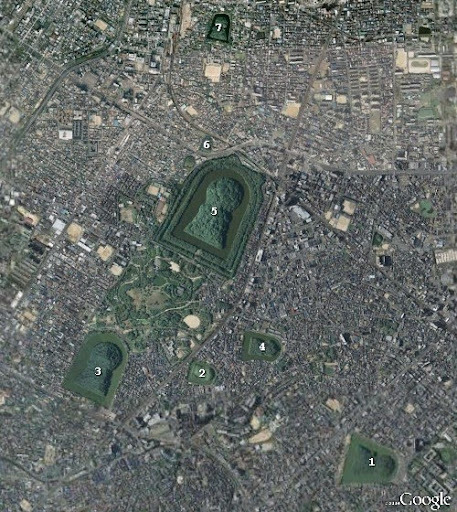 The Daisen Kofun is the World's Largest Grave by area. Reportedly it was built in 16 years, using a huge workforce of 2000 workers per day which is equivalent to more than eleven million man days. It is so big that its shape can only be visualised from air.